Yesterday, I finished a 3 day (72 hour) water fast. After reading about other people’s experiences, I expected it to be easy. I’m very grateful for doing it and I highly recommend it to anyone wanting to release toxins, experience cellular regeneration, improve mental performance and have a better relationship with the body. I’m now experiencing these benefits, and you can too by following the guidance below. However, the fasting period was brutal for me. I experienced nausea and an increased heart rate. It was concerning. By the end of the fast, I figured out why. Take note of my advice here if you’re going to do a 3 day water fast so you can avoid what I went through. 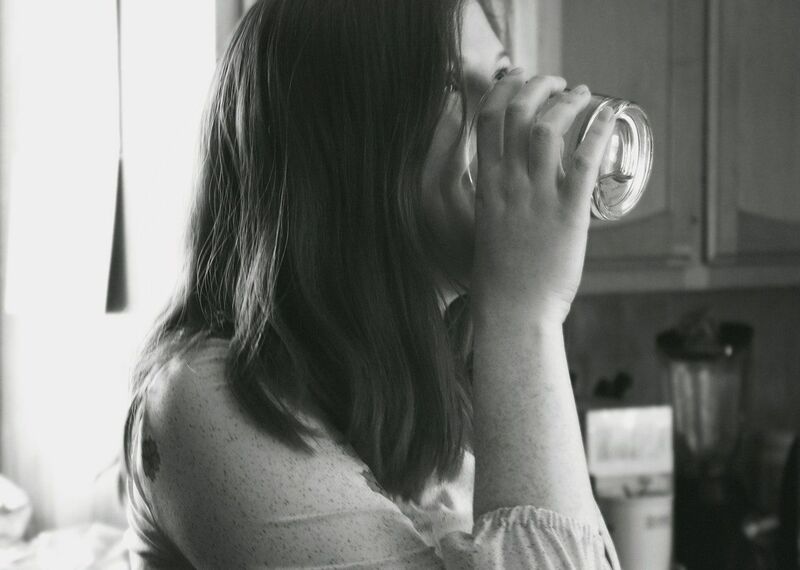 Before I share my personal experience and what I got wrong (and how you can prevent it), I’ll explain what a 3 day water fast is, how to prepare for it and the benefits. To skip the science and further information on a 3 day fast, click here. Otherwise, keep on reading (I recommend reading through the whole article in its entirety for the full picture). What is a 3 day water fast? 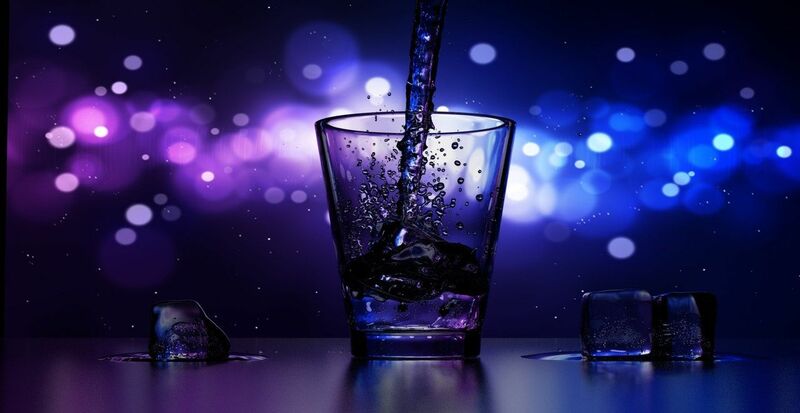 A 3 day water fast quite simply involves not eating and only drinking water for 72 hours. Most people do a 3 day fast where they have some diluted fruit and vegetable juices, in combination with lemon water spiced with cayenne pepper for an enhanced cleansing effect. These fasts can be effective, but you won’t get the full benefits of a water fast (more on that below). A water fast is a fast where you literally only have water. Throughout history, people have undertaken fasts for spiritual or religious reasons. 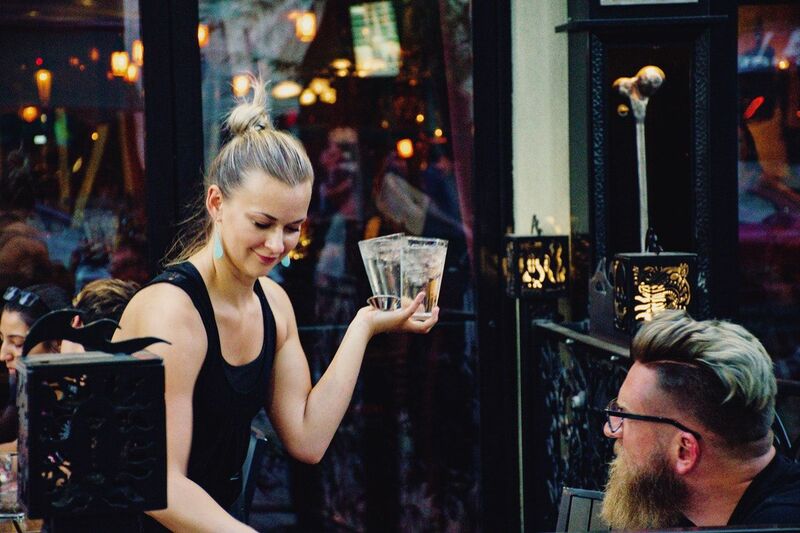 In the contemporary age, water fasting is becoming more popular in the natural health and wellness movements, as well as amongst biohackers. I decided to do a water fast as I couldn’t figure out whether having coffee would prevent some of the benefits of fasting. I was getting mixed messages from my research, so decided if I was going to go through the experience, I may as well do a full water fast. This decision nearly destroyed me. But first, let’s go through how to prepare for a 3 day water fast. There are significant health benefits to a 3 day water fast. However, it’s important to note that there are considerable risks as well. It should be safe for the majority of adults, but if you’re thinking of fasting for longer than 24 hours, please consult a medical professional. I’m not offering any medical advice here, I’m simply reporting on my own personal experience. Once you’ve consulted a medical professional about your suitability for a 3 day fast, start working on a plan that will help you to get your body ready for the shock you’re about to put it through. Are you addicted to certain types of foods or stimulants? Examples could be sugar, caffeine, alcohol and cigarettes. If you are, make sure you progressively reduce consumption of them in the weeks leading up to your 3 day fast. The same goes for all types of processed and fried foods, dairy products and meat. You should reduce consumption of these in the days leading up to the fast. Finally, 3 to 4 days before the fast, shift your diet to blended food and boiled vegetables only. You can still have meat and dairy, but it’s advisable to reduce their intake. I want to emphasize the importance of the preparation period. I didn’t follow it, and went into the fast cold turkey. I paid the price. Before getting to this, here’s how you break the fast. After the water fast, you’ll be hungry. You should avoid the temptation to eat a big meal or any junk food. Your intestines aren’t ready to digest food again. They need time to readjust. Start with a hot glass of lemon water. The citric acid is absorbed very quickly and promotes the production of digestive enzymes once again in the gut. Before your first meal, eat something small and low-glycemic. For example, an avocado, nuts or vegetables. Your first meal should be small and low-glycemic. Carbohydrates after a fast may cause rapid weight gain. Instead, keep yourself in a semi-fasted state as you slowly reintroduce food again. Keep your next few meals quite small. You want to keep your blood sugar levels stable, so take it easy the days following a fast. The science behind fasting is in its infancy, but already there are incredible findings. According to researchers from the School of Gerontology and the Biological Sciences at the University of California, fasting for 3 days can regenerate the entire immune system. “We could not predict that prolonged fasting would have such a remarkable effect in promoting stem cell-based regeneration of the hematopoietic system,” said Prof Valter Longo, Professor of Gerontology and the Biological Sciences at the University of California. “When you starve, the system tries to save energy, and one of the things it can do to save energy is to recycle a lot of the immune cells that are not needed, especially those that may be damaged,” Longo said. Prolonged fasting forces the body to use its stores of glucose, fat and ketones, and it also breaks down a significant portion of white blood cells. You may have heard of ketosis before. Ketosis is the process of burning fat directly from fat tissue. It’s achieved through the production of “ketone bodies” in order to metabolize the fat. According to Dr. Tallis Barker, a holistic consultant, our bodies have two methods of metabolization. The first is the usual way we metabolize carbohydrates. Most people never experience the second method, which is ketosis. There are numerous benefits to putting your body into a state of ketosis. It causes feelings of euphoria and cognitive focus, increases insulin resistance and improves mitochondrial efficiency. It takes anywhere from 48 hours to one week to enter ketosis, according to Dr. Anthony Gustin at Perfect Keto. Autophagy literally means to eat oneself. It’s the body’s mechanism of getting rid of all of its broken down, old cell machinery (organelles, proteins and cell membranes) when it no longer has the energy to maintain it. Cells are meant to die, and autophagy accelerates the process. It’s effectively a form of cellular cleansing. What slows down autophagy? Eating. Glucose, insulin and proteins turn off this self-cleaning process. It doesn’t take much to switch autophagy off, which is why I recommend a water fast over any other type of fast. Your body is actually always in a state of autophagy, but it will accelerate the process after 12 hours of fasting. Most reports indicate, however, that the sustained benefits of autophagy happen after 48 hours of fasting. Preliminary research also suggests that ketosis and autophagy may be effective for treating cancer and Alzheimer’s disease. During a water fast, you’re only meant to have water. I followed this to the letter, and it was my downfall. Instead of going through the preparation I recommend above, I decided on Sunday to do the 3 day fast and by Monday evening I stopped consuming foods, only drinking water. What I know now is that it’s advisable to start the day with a cup of water with a pinch of sea salt in it to replenish your electrolytes and reduce your cortisol. This was the easiest part of the fast. The first half of the day on Tuesday I was completely fine. I managed to get some work done at my usual pace. However, by the afternoon (about 20 hours in), I started to feel exhausted. I went home to relax and slow down. By the evening, I was experiencing ups and downs. At times, I was feeling quite weak and had a terrible headache. Other times I had a surge of energy and was feeling quite elated. This was most interesting for me. For many years I’ve had mild insomnia. However, I woke up (at the 36 hour mark of fasting) after a full night of sleep. I was pretty excited about this, but the excitement was short lived. The whole day I had a terrible headache and felt nauseous. I considered stopping the fast right away. I managed to get a little bit of work done in the afternoon. By the evening I was feeling simply horrible. The next morning, I wasn’t as refreshed from my night of sleep as the day before. My heart was racing all night, between about 90 and 100 beats per minute. I only got some intermittent sleep, and in the morning the heart rate wouldn’t slow down. It was quite an incredible experience. With an increased heart rate, my behaviour changed. I had a stronger temper and got frustrated more easily. I managed to experience compassion for people who experienced higher blood pressure or increased heart rates on a regular basis. Often our behaviors have a very physiological basis so it’s important to feel compassion for others and not be so quick to judge them. In any case, this was the day I was breaking my fast. At the 72 hour mark, I started to introduce food back into my diet. First, I had some coconut water and two bananas. My body received this well so a few hours later I had an Acai bowl with yogurt, spinach and some nuts. Then I went to meet my brother for a coffee. The food felt fine in my gut, but my headache was still brutal. However, as soon as I had coffee I felt alive again. Overall, my 3 day water fast isn’t an experience I want to go through again. But the problem isn’t the water fasting. The problem came from my lack of preparation. Since undergoing my 3 day water fast and having such a brutal experience, I’ve now decided I need to build up my general knowledge on health, longevity and biohacking. Having some basic knowledge in place means I’ll be able to continue experimenting without putting my body under such stress. 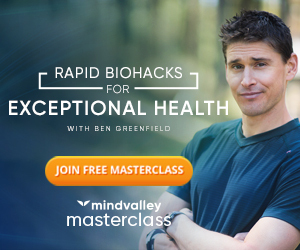 Recently I signed up for Ben Greenfield’s free masterclass with Mindvalley, where be breaks down some of the latest research in longevity. I wish I had have watched this before undertaking my 3 day water fast. Greenfield is a world renowned biohacker and body and brain performance coach to elite athletes around the world. In the free masterclass, he shares a lot of valuable information about exercise and living a longer life. The information shared would have given me a better grounding in what it really means to experiment with biohacking. I recommend you check it out if you’re thinking of experimenting with biohacking as I have been doing. Conclusion: How do I feel after completing a 3 day water fast? I need to be honest with you. I was a little scared with the increased heart rate and headaches. If you’re going to do the 3 day water fast, please go through a preparation period, reducing your reliance on anything you’re addicted to. I’ve learnt that I have a coffee addiction. Usually I have two double-espressos per day. It’s a lot of coffee and my body went into a state of shock going cold turkey. Not having any food while also depriving the body of coffee only made the situation worse. I didn’t experience hunger pains at all. I certainly felt hungry at times but it was very manageable. It was only after my first coffee that I realized depriving myself of coffee was making the experience so difficult. On the first day of breaking the fast, I passed movement in my bowels for the first time in 3 days. It was an incredible experience. It felt like I was purging so much from the body. I needed to have that coffee to signal to the body that it was time to purge. Now that the 3 day water fast is behind me and I’m eating and having coffee again (reduced amounts), I have a new appreciation for myself and my body. It seems obvious, but the decisions I make every day about what to eat have a big impact. This insight also extends to the environments I put myself in. I feel like I’m more able to listen to my body and be aware of what it needs to be healthy. For example, check out the photo below where I share this insight. My #3dayfast has taught me a few things. The first is that life without coffee isn’t worth living. The second is that I have a profound relationship with my body. Need to feed it healthy things and take time out from work a bit more. Article and video on the experience coming soon on @ideapods. Finally, it’s worth noting that I’m feeling an incredible amount of elation and clarity. It’s difficult for me to compare this to before the fast. In general, I’m feeling pretty good and know how to enter the flow state periodically throughout the day. However, the reality is that I feel fantastic. Over the last few days I’ve developed some new ideas for my business that I’m sure will have a positive impact. I feel like I’ve got the energy to make changes in my business and also my own personal life. During the fast, I also did a lot of reflecting on the relationships in my life. I realized that my single life is wearing me down a bit, and I need to put myself in environments where I meet more like minded people. Overall, I would highly recommend the 3 day water fast. It was a brutal experience for me, but you can avoid some of these challenges if you do more preparation beforehand. Keep in mind that the 3 day fast isn’t for everyone. You should consult a medical professional first, especially if you have pre-existing health problems. But for most people, it should be fine. Creating change in your life doesn’t always need to be easy. Sometimes, we can get more meaning from the struggle itself than the outcome. Are you thinking of trying a 3 day water fast (or any other kind of fast)? Let me know in the comments below. @justinbrown First off, glad that you survived Very useful tips that should be considered before fasting! Three things popped up in my mind as I was reading. The importance of sharing personal experiences in terms of shaping a critical approach to a given topic. Nowadays, there is a certain polarity in opinions and positions regarding news, statements, articles, etc. People either fully agree with something and deny other points of view or they fully disagree and call it fake and thus deny other points of view. There is never only black and white. Perhaps, there is someone out there who went to a hospital because of fasting and that fact makes certain people pronounce anathema against it. But on the other side, there are probably millions of people that greatly benefited from fasting. All should be considered. Fasting, in general, is quite an interesting topic. If you think about it almost every, major religion incorporates it. Spiritual teachers preach it. That is not just a coincidence especially given the fact that science backs it with evidence. It has been well known for millennia that both the body and the mind benefit greatly from fasting. I’ve recently gone on a 40 Day Christmas plant-based fasting, which is according with the Orthodox church here in Bulgaria. The results were amazing - dropped 4 kilos, got leaner, felt leaner, improved mood and focus, glowing skin and eyes, calmness and it just felt like my energy vibrated differently (in a good way). Last but not least this comes as a gentle reminder that our body is something very complex, but smart. It is and forever will be our greatest “weapon” and the place that “hides” our potential. Thanks for such a considered response @Presley. You make some really good points, and I was thinking about the spiritual part of fasting while I was doing this. In fact, at the very beginning of the fast @Ruda was encouraging me to go “above and beyond” and cut out the caffeine, which as you can see from the article was incredibly tough for me. I really crashed towards the end but go so much out of it. It was very much an emotional experience. I was also thinking along similar lines when it comes to the polarity of opinions across so many different subject areas. Fasting is a great example. There are advocates and detractors everywhere. It really does depend on so many things, and particularly someone’s experience. @lachlan was keeping an eye on me doing the fast, thinking of doing one as well. He decided against it - an approach that makes sense for him. Glad to hear about your own results too. I believe @ruda has recently achieved similar results with “intermittent fasting”.